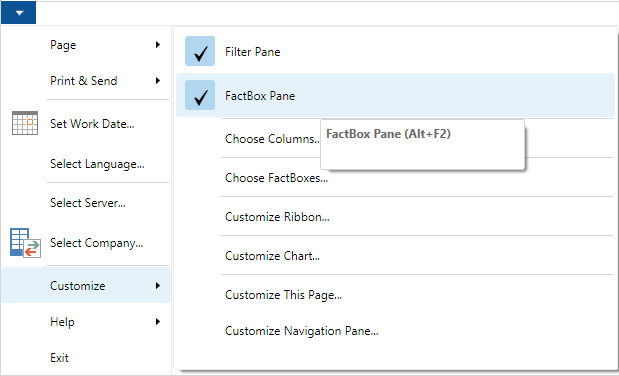 Dynamics NAV is full of features to make life easier for users and developers. One of these little gems is the F2 key. In the help about this shortcut it simply says: Edit. But did you know that is has some undocumented features as-well? In the development environment you can use F2 in different ways. In the C/AL Editor, F2 jumps to the end of the line, just like the End button. By the way, did you know that F2 also works in Excel? Also, in upto 2009 version, by pressing F2, it was validating the fields. For Ex, if we press F2 on no field of the purchase line, the uom code, description, etc were getting updated. But in 2013 R2, it is not updatating. Is there any other equivalent shortcut for F2 in NAV 2013 R2. Please let me know. No there’s not. in the RTC you can Cut (Ctrl+X) & Paste (Ctrl+V) the value to get re-run OnValidate. Unfortunately there’s no other way anymore like in the Classic client.